Verde - "Live" / "Vuoronumero"
Lots of new goodies here from Finnish sound artist and instrument inventor Mika Rintala, who records under the name Verde. 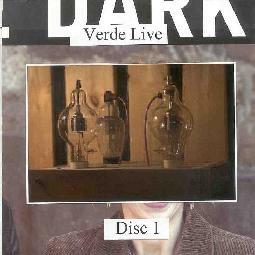 Live is a 2-CD set that features highlights from four Verde shows between 2000-2003. These performances took me by surprise as they include some of the most "musical" and rock oriented Verde recordings to date. Rintala is, in my opinion, one of the most interesting sound sculpture artists on the contemporary avant-garde scene, but he has also played with Circle and Ektroverde so it's great hearing that side of him being incorporated into his Verde project. Throughout these performances Rintala is joined by M. Elo, T. Majaluoma, J. Laiho and M. Rättö, the latter also being in Circle and Moon Fog Prophet. The music is very spacey throughout, though we've also got percussion, bass and guitar to create a sense of song and groove that I've not heard on any of the studio Verde albums. 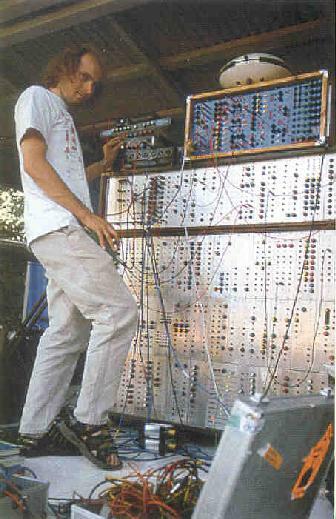 Sometimes Rintala also seems to include the field recordings that are such a trademark part of his work. But given that these are live performances I have to wonder.... are the crowds and conversations I hear his supplied field recordings or the actual audience at the shows? Good question, as the front and center conversations are almost non-stop during some of the tracks (I suspect it's a combination of audience and intended field recordings.) But what's really cool about Live is Rintala's combination of the avant-garde elements that characterize Verde with the kind of music that might be heard on an Ektroverde or even Circle album. There's lots of very interesting avant-jazzy space vibes and dark, haunting psychedelic guitar, all presented in a difficult to describe style that blends experimental and Rock elements, some of which is pure rocking Krautrock kosmiche. I dig the lengthy piece that includes Mikka Rättö ranting in Finnish and then going off into a pure Bluesy harmonica jam. That's quite a contrast with all the freaky alien bits. 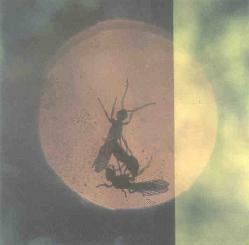 Much of Disc 2 features the more purely spacey and sound exploratory side of Rintala's work, including some of the more traditional Verde styles. I like the opening track with its haunting atmospheric flavor, and then moving into the space industrial factory vibe of the next track, complete with freaked out keyboard melodies and tribal percussion. The following tracks feature excellent ambient space journeys, and along the way we hear some subtle guitar work that gives it all a trippy psychedelic edge. And throughout the disc Rintala and company continue to excel at bringing together accessible and avant-garde elements. Some of the music has a clear narrative flow and struck me as being like a spaced out version of the Residents circa Mark Of The Mole. Overall this is an outstanding mixture of spacey avant-rock, psychedelia and experimental sound-art. If you like Circle and Ektroverde this would be a good introduction to Verde, before diving into Rintala's more purely sound-art oriented work. Likewise, Verde fans will be thrilled to hear Rintala rocking out in the more avant-garde regions of the cosmos. The CD's also come housed in simple but lovingly handmade packaging. And each CD is packed with almost a full 80 minutes of music. Very nice. Vuoronumero is the latest from Verde and once again Rintala employs a number of guest musicians, including Jyrki Laiho, Mika Rättö, Yrjänä Sauros, Markku Veijonsuo and Jussi Lehtisalo (Circle, Ektroverde, Pharoah Overlord). A short opening track consisting of jazz trumpet and dark grungy stoner soundscape guitar signals that once again Rintala will be exploring territory beyond what we've heard on earlier Verde releases. Among the highlights is "Veron Saa Masaa Ensimmäisenä Arkipäivänä", which features Rintala's trademark field recordings blended with spaced out synth work, strange tribal chants and sci-fi freakiness. I love the way he combines wildly contrasting elements into something that is so weird but works so well. After a few minutes the spacey synths continue but are joined by acoustic guitar and keyboards that add a melodic song element to the piece. "Plussakortti" is a standout track with mindfucked Blues, tripped out psychedelia and dense atmospherics. Wild!! "Epätasaisia Helmoja" is another track that draws on the Blues, sounding like Rintala took all his gear down to the Mississippi Delta and got some old fellow to crank out traditional acoustic guitar Blues while Rintala creates space electronics around it. After a while an electric guitar joins in, cranking out down ‘n dirty Blues licks. I really got absorbed in this one. Still more Blues influences can be heard on "Timanttikiiltohuulet", a track that would be very much at home on an Ektroverde album. More interesting stylistic gloms can be heard on "Kalvosinnapeilla Voi Tehdä Vaikutuksen", with it's steady tribal percussion, cosmic electronics, trip guitar and spoken word. "Pintamuoti" is one of the most purely floating pieces I've heard from Verde, with an almost Shoegaze type vibe from the guitar and electronics, though Rintala can't resist throwing bits of clatter and dissonance into the mix to keep things nicely unconventional. I also enjoyed the combination of static machine shop electronics and parade of eerie space sounds and atmospherics on "External Global Error". In summary, Mika Rintala's music defies easy description, which is why my eyes light up whenever a new Verde release shows up in the mailbox. Listeners who welcome a challenge from music that stands apart from the rest will delight in Rintala's imaginative constructions that bring together wildly disparate worlds into a strangely harmonious whole. As my friend Bret Hart says in the Vuoronumero liner notes... "I recommend that you buckle in for a ride with Mika Rintala at the wheel. Pick a CD, any CD". For more information you can visit the Verde web site at: http://www.phinnweb.com/circle/verde. Email Mika Rintala at: mika.f.rintala@nokia.com. Also visit the Musically Incorrect Records web site at: http://launch.groups.yahoo.com/group/musically_incorrect.